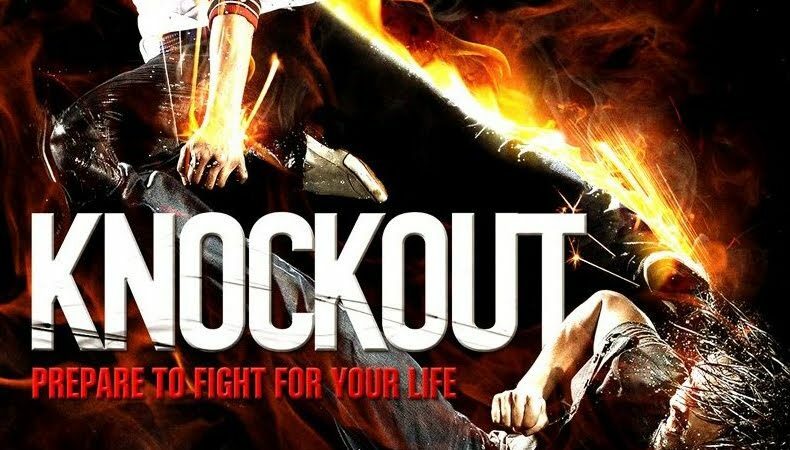 Bangkok Knockout sadly shows all that is right and wrong with Thai action cinema at the moment. Martial arts clubs compete for a Hollywood movie audition, The Pure-hearted club, led by a Taekwondo artist named Pod, wins. But all is not what it seems, the group wake up in an abandoned housing estate, surrounded by gunmen and the whole place is wired with closed-circuit video. Its a set up for an illegal gambling ring who bet on the fighters for vast sums of money. It’s up to the fighters to survive and battle there way out of the complex. That’s it really, not much of a plot as expected in these sort of films, but the set up is ok for plenty of action and stunt work. The problem lies with the acting, the fighters are talented stuntmen who’ve been doubles and extras in director Panna Rittikrai past productions. The other “actors” are a mix of western and Thai and are truly awful. The dialogue when spoken is a mix of badly delivered broken English and Thai and it really does bring the film down a level or two. The action is amazing, even by Panna Rittikrai’s past standards and the stuntmen/fighters really get to show their stuff, but there is so much fighting that towards the end you just become numb to it. The characterisation is zero and the film has no “emotional content” as Bruce Lee used to say. Comedian “Sena Hoi” is a musician who turned up at the dinner and ends up stranded with the fighters. If you get annoyed at Dean Shek’s performances in Hong Kong movies wait until you get to see this guy! At certain points i wanted to throw things at the screen he was so annoying! It ends up like a showreel for the stuntmen. That is fine, but if you want to watch a movie with a story give this one a wide berth. If you want an action fix then rent the film and be amazed. If someone could give these guy a good script and decent actors to work with then you could someday get a classic, but otherwise, Thai action cinema will stay just an action curiosity which would be a great shame.